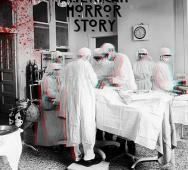 American Horror Story co-creator Ryan Murphy has confirmed that season 2 will take place on the East Coast in a classic horror institution. New time period, new location, some returning cast members and all good news. New Piranha 3DD have been scattered online and they feature the D-cups in full view. 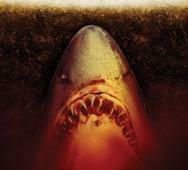 Piranha 3dd will hit theaters June 1, 2012 and I can’t wait to see it. Which poster is your favorite? Watch the new CW The Secret Circle episode special preview. Producer Andrew Miller explains the Circle’s effort to find the remaining crystals. Plus the secret Blackwell child is revealed. Nacho Vigalondo’s Extraterrestrial or Extraterrestre will be releasing his horror/sci-fi/comedy later this summer. We have the press release and poster art for Nacho’s latest horror film. Finally some news on Howling. Ha Yu‘s Korean wolf film has some posters and photos live on the internet. Not sure if we are looking at a great horror movie but I can’t wait to see this horror film. Mega Spider creates spider scares in those who do not even have Arachnophobia. Enjoy the first photos from Mike Mendez’s Mega Spider. 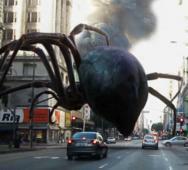 The horror movie, Mega Spider, is directed by Mike Mendez, produced by Patrick Ewald, Shaked Berenson and Travis Stevens, which stars Greg Grunberg, Lombardo Boyar, Clare Kramer, Ray Wise, Patrick Bauchau and Lin Shaye. Midnight Son is coming to DVD on July 17, 2012. Jacob has a rare skin disorder and must avoid the sun. When things begin to get worse, he resorts to drinking human blood. The modern age vampire finds love in all this mess and soon finds the police after him. FEARnet premiered Midnight Son in January and you should make time to see this horror film. No new episodes this week but the synopsis for the new episodes are here. The Vampire Diaries (Do Not Go Gentle) has yet another dance that takes a deadly turn for the worst. The Secret Circle must use their magic to find the remaining crystals. Supernatural has Felicia Day guest starring. More details below in the official word from The CW. 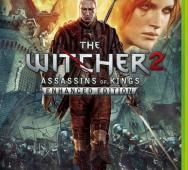 If you are like me and have not played The Witcher‘s first game but want to play The Witcher 2: Assassins of Kings (Enhanced Edition), you are in luck. CD Projekt RED has announced that they have taken steps in order to allow new comers to easily jump into The Witcher 2 without having to have played the original. Nazi zombie movie, Outpost II: Black Sun has just released the horror trailer. It is in German but the theme and general tone are all in tact. Zombies are universal and the world loves them. 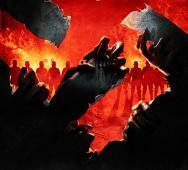 Check out the Zombie trailer and see what you think. 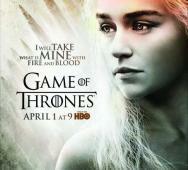 Game of Thrones Season 2 has just begun with season 2 kicking off on HBO last night. Thought you would love to see the new season 2 trailer released that gives huge insights on what is to come in future episodes. We also have 6 new character posters that are must sees including powerful quotes for each character. One of the best TV Shows of 2012 without a doubt. Entertainment Weekly broke the poster for The ABC’s of Death and I am definitely feeling the horror goodness. 26 directors all throw their hands into this great anthology featuring horror legends like Adam Wingard (You’re Next), Ti West (The Innkeepers), Yoshihiro Nishimur (Tokyo Gore Police), Ben Wheatley (Kill List) and 23 other notable horror directors. Sucker is a gruesome mosquito man inspired horror movie that looks like a good change from the almost generic options out there. We have 3 new posters for the Sucker. Michael Manasseri’s film stars Danny Mooney, Monty Ban, Michael Manasseri and Kimberly Kates. I want to see Sucker only because it looks so weird and hopefully funny with a good amount of cheesy. True Blood Season 5 finally has a teaser trailer to give us a hint of things to come in the HBO vampire top TV series. This trailer premiered last night as a TV spot for the season 2 of Game of Thrones. 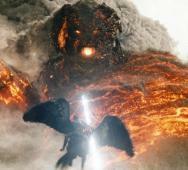 Get a sneek peek at the of Wrath of the Titans with these behind the scenes videos featuring the Cyclops, Makhai, Minotaur and the King of the Titans himself, the walking volcano known as Kronos. Brooke Hogan in another Shark movie, “Sand Sharks”. Thank Phase 4 Films for this new cheesy horror film. I can hear Hulk Hogan in the back of my mind, “You gotta go see this brother”! Yeah, sure. 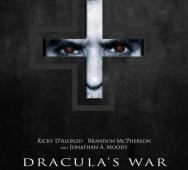 Jonathan A. Moody has just released his upcoming film Scary Story Slumber Party coming this end of April but has announced his new project, Dracula’s War. Moody has written, will direct and produce Dracula’s War. Set to have bloody battles with vampires and vampire hunters who all happen to be named Van Helsing. Filming for Dracula’s War will begin this June 2012. I finally got around to playing Asura’s Wrath and all I could think is that this is awesome. It was only the demo available on XBox Live but it featured two episodes with intense battles. One enemy was bigger then the earth, hard to explain but you need to see it for yourself. Capcom and CyberConnect2 just announced new downloadable content for Asura’s Wrath with the first set to be released April 3rd. 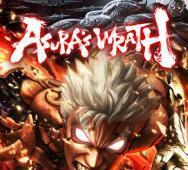 Check out the new trailer and images for Asura’s Wrath! 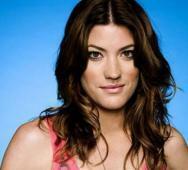 Jennifer Carpenter (Dexter, Quarantine) has just joined The Occult. Jennifer joins Colm Meaney, (“Hell On Wheels”, Get Him To The Greek), Rufus Sewell (Abraham Lincoln: Vampire Hunter, Dark City) and newcomer Alycia Debnam-Carey have all been announced for the thriller which The Roommate director Christian Christiansen is now helping. The Vampire Diaries and The Secret Circle both left us with great deceptions from people that we thought we could trust. 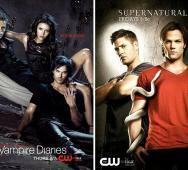 Check out what will be on the new Vampire Diaries and The Secret Circle. Trust me we are in for some good vampire and witch action.